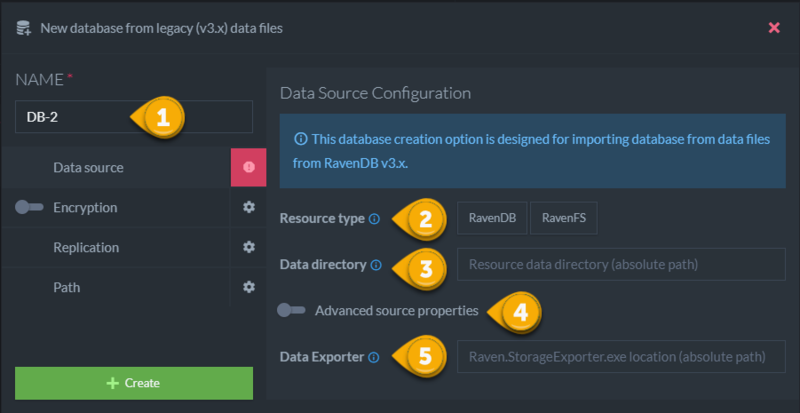 This database creation option is designed for importing database from data files from RavenDB v3.x. 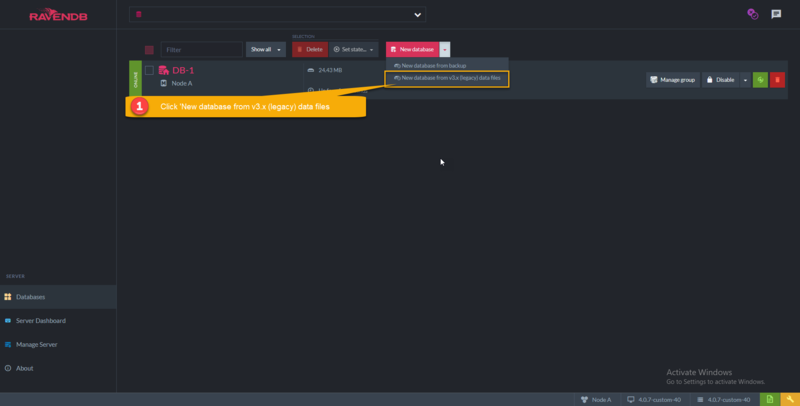 Open the down arrow and click New database from legacy files. 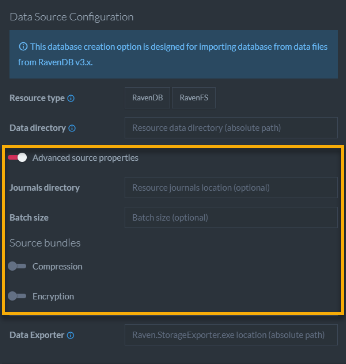 RavenFS files will be saved as documents with attachments in @files collection. Absolute path to data directory. RavenDB 3.5 tool that can be found on ravendb.net as a part of the tools package.